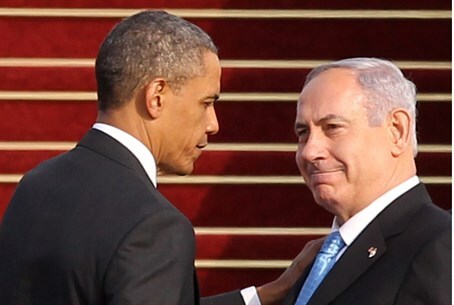 Agudath Israel said to be concerned on how the tension between Netanyahu and Obama will affect US Jewish community. According to reports in the haredi community in the United States, the Agudath Israel organization, seen as the umbrella group for haredi Jews in the US, is grappling with the issue of how tension between Prime Minister Binyamin Netanyahu and President Barack Obama will affect the community. Members of the organization's top council reportedly held a meeting this week to discuss the issue, among others affecting the community. The rabbis sitting on the council asked community rabbis in synagogues and institutions belonging to the group to present their views on the matter, to determine whether the recent criticism by Obama and his administration of Israel is having any effect on the ground. Agudath Israel of America is very politically active in the US, with a large network of activists who work on the local, state, and national level to protect the interests of Orthodox Jews. The organization is generally considered “neutral” on matters relating to Israel, and usually does not comment publicly on political matters relating to Israel. However, according to the reports, leaders of the group are concerned that the tension between Israel and the US could “leak out” to the rest of American Jews in general, and Orthodox Jews specifically.